A fully rated, lightweight ski/mountianeering harness equally at home on the seven summits or your next ski traverse. Updated for 2017 with a Speed Buckle and clank reducing ice screw holsters. Packable to the size of a soup can that easily stows away in a jacket pocket, the superlight Couloir harness is designed to be the essential skiing and mountaineering harness. 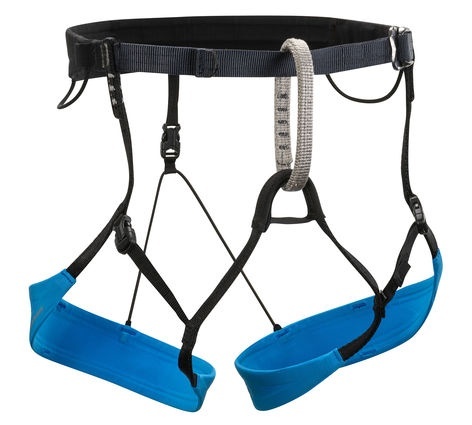 Quick-release leg loops allow fast and easy changes while wearing skis or crampons, and low-profile webbing construction allows it to wear comfortably under packs or over clothing. 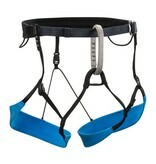 Two webbing gear loops, four Ice Clipper slots and a belay and haul loop complete the package.